Humanity is in complete disarray. As we have advanced from the Stone Age to modern time, we have achieved amazing technological feats. At the same time, we have also left behind a trail of despair that haunts us like an aberration without any past, present or future. The mobile phone is one such technological achievement that we see both as an achievement and a curse. Why like that? Let us answer this question first, and then we can move on. Mobile phones have revolutionized the way we communicate. Yes, geographical boundaries have been wiped out, and it only takes a few moments to connect, and talk with loved ones near, and far. It is a product of technological grandeur that separates us from all other animal species on the Earth. Advances in mobile communication technologies have now allowed us to capture moments, and create memories; track our health goals; connect with friends, and family through social media platforms; kill boredom through songs, and videos, and games! Our lives and our mobile phones have become so intertwined that they appear inseparable. If mobile phones are such a boon to humanity then how come they are a curse? Brilliant question. There are many reasons. We can sum up a few. We are becoming unsocial. Human interaction is at its minimal. Humanity is losing the human touch. Mobile phones have become a tool for harassing people. Harassment calls have become widespread. Today’s mobile phones can record videos. People often misuse this ability of video recording, and capture videos of people in compromising positions. You know where we are going, don’t you? Antisocial elements and goons can easily and quickly communicate with each other, and undertake activities that are detrimental to society. The list can go on and on. We are not here to discuss that. We are here to discuss mobile number tracking. It is the dark side of the mobile phones that often make us contemplate the possibility of tracking a mobile number. 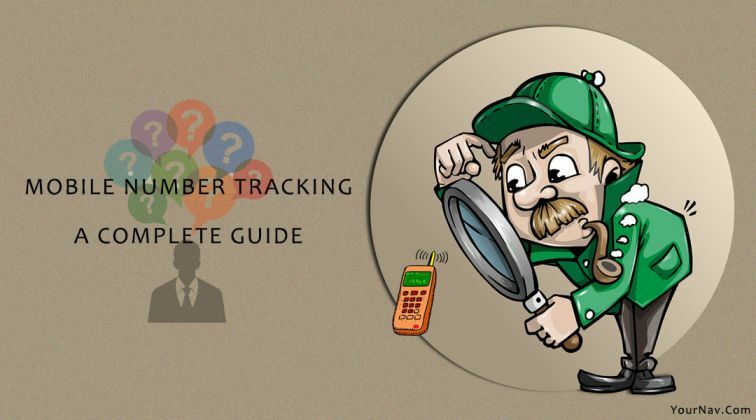 What is mobile number tracking? In the simplest possible language, mobile number tracking means finding the location of a particular number. It can also mean finding the phone itself. For instance, if you receive a threat call, will you not want to know the origin point of that call? Will, you do not want to know who called you? Yes, there is a whole spectrum of reasons for which you may want to track a mobile number. Let us take a look at those reasons in brief. In this section, we will go to a table. A table is always easy to understand and remember. Let us start. Lost phone Mobile phones (especially smartphones) are expensive. Losing the phone will mean monetary loss. Also, smartphones contain a lot of data including photos, videos, passwords, financial data, contact numbers, important messages and more. Once you lose the phone, you will lose all the data on the phone. In such a case, it is always prudent to search the phone. The easiest way is to track the location of the number. It can tell you the exact location of the phone provided the phone is not switched off. Fraud call Financial fraud is common. One of the most widespread methods that fraudsters use is that of calling unassuming people and asking for banking details or credit/debit card details. The fraudsters impersonate as banking professionals and call to extract passwords, ATM pins, and more. In case you are receiving a call like that and falling prey to such con artists, will you not like to know the whereabouts of those people and bring them to justice, and retrieve all financial losses? Harassment call Harassment calls are dangerous. Sometimes such calls are mere pranks, but they come with a great cost for the one receiving such calls. Other times, such calls are just terrible and come as genuine threats. For example, a business person can receive harassment calls from goons who want money. People making such extortion calls are dangerous with least regard for human life. Again, there are instances where young girls get harassment calls from roadside Romeos or sexual predators. Tracking such harassers is important. Business secrets Business is all about tough competition. Losing your business secrets to your competitor is always detrimental to your business. Often employees of a certain business can hand over some vital information to a competing business for a bribe. Tracking employee activities, especially phone calls, SMS, etc. is important. Tracking mobile phone numbers in such scenarios might be a necessity. Infidelity Well, you know this. It barely requires any explanation. Only try to find an answer to this question – ‘will you not want to know whether your spouse or boyfriend/girlfriend is having an affair with someone else or not? One of the easiest and go-to ways is that of tracking the mobile number to know about his or her whereabouts. Another way is that of mobile monitoring activities such as tracking phone calls and SMS. Keeping an eye on children Times are bad. Children today have become far more daunting than even a generation earlier. Even worse, children today have become so smitten by violence, fun (of all sorts), partying, etc. that it has become a matter of concern for parents. Yes, phones and social media play a big role is putting children in harm’s way. Tracking their phones and knowing their whereabouts is a drop of solace for parents. Natural calamity Natural calamity can come anytime in the form of flood, cyclone, earthquake, landslide, tsunami, etc. Scenarios like these are scary, and often they are not only responsible for claiming hundreds and thousands of lives but also separate loved ones. If those who get separated still carry a phone, it can become easy to find them by tracking their mobile phone. There can be other reasons like tracking terrorist and criminal activities. Unfortunately, in events like that, it is always the law enforcement that takes charge. Victims can only complain to appropriate authorities. Tracking phone calls or SMS remains under the jurisdiction of the law. We will like to mention that even for some of the purposes mentioned in the table above, it is often necessary to take permission of the law enforcement as well as that of the person who you want to track. Now that you know about the purposes of mobile number tracking, it is time to take a look at how such tracking activities take place. We will deal with ‘lost phone’ scenario separately. As you read, you will understand why we will separate out the case from the rest of the scenarios. Read on. You accidentally drop it somewhere, or keep it somewhere and forget. Whatever the case be, you lose your phone. How do you find your phone in both the case? You must understand the dynamics of the two situations. The first one is more complex than the second one. Let us deal with each situation one at a time. You drop the phone, and someone else finds it. That person may be a nice person. The person can either call one of your contacts on your phone and try to return it. The person may also hand over the phone to the nearest police station. The person may not be a nice one. He or she can decide to keep the phone. You drop the phone somewhere, and no one notices. It stays there hidden from the sight of everyone else. What happens in the scenarios mentioned above? You get your phone back simply because a nice person found it and, in some way, or the other, the person contacts you (either directly or through police) to return the phone to you. The scenario is a rare one but not an impossible one. Some people are nice, and they do not like to keep things that do not belong to them. In case the person is not nice, you are going to have a hard time. The phone falling in bad hands is pretty much same as someone stealing your phone. You will not get it easily, or you may not get it back at all. You need to prepare yourself for the worst while hoping that you will get your phone back. If you can trace the location of the phone, you may get your phone back. You drop the phone, and no one notices. It stays there. You will have chances of retrieving the phone by tracing its location. You can file a police complaint. You can try to trace the location of the phone. Well, someone steals your phone means that he or she does so on purpose. The person stealing your phone has no intentions of returning your phone. The best you can do here is to file a police complaint and hope that the police will help to retrieve your phone from the thief. If you choose the option of police complaint, what do you need to do? Yes, you get it right! We are going to explain the process of filing a police complaint. It may sound easy, but it is not. There are a set of specific steps that you need to follow before you step into a police station. Let us take a look at the process step by step. Name of the phone manufacturer. IMEI Number or PUC Number. Your phone number (the 10-digit mobile number). If not the exact details, you need to provide the best guess of the location where you lost the phone. If you are suspicious about someone stealing your phone, you need to provide the details of the person. If you think that a random person stole your phone and you most likely saw that person near you, you may have to describe the person in as many details as possible. You may remember some of the details like phone manufacturer’s name, the model of the phone, your 10-digit mobile number, etc. In all likelihood, you will not remember the details like IMEI Number or PUC Number. If you have the documents like warranty card, invoice, packaging material, etc., take a good look at them. These documents will contain most of the details you need. Once you have all the information, protect your data. It is the next step. How to protect your phone’s data? Most likely the phone you lost is a smartphone. Smartphones come with the ability to sync data with online services like Google Calendar, Google Contacts, Gmail, Google Drive, etc. There can be a multitude of such online services depending on your phone. Visit those accounts from your computer (desktop or laptop) and immediately change the passwords. If you have private photographs stored in online accounts like Google Drive or Google Photos, delete them without a second thought. Change passwords of your social accounts immediately to prevent any misuse. Call your bank or financial organization and report the loss. Ask the representative picking up your call to immediately freeze your account(s) and deactivate your card(s). Notify them that any transaction that took place from the time you lost your phone till the time you are calling them, you are not the one who initiated the transaction. Ask the representative to reverse such transactions if possible. In case you have the option of remote wiping of phone data already active, use it to delete all data on your phone and bring it back to factory settings. You may decide to deactivate your SIM card after you report the loss or theft to the police. You may do so before reporting to the police. There is always an advantage of waiting until the police take the complaint. You never know. The person who finds your phone (in case you accidentally dropped it somewhere) may be a good person, and he or she may try to contact someone from your contact list to notify that he or she has the phone. If the SIM is not active, the person cannot do so. However, you cannot ignore the other option either. The finder of your phone may not be a good person. Alternately, someone stole your phone! If you opine that you have waited long enough, you can go ahead and deactivate the SIM card. To deactivate your number, you must call the network provider, and ask the representative to deactivate the SIM. The representative will ask for several details like your Aadhar Number (or any other identifying number), your Name, your Address, and so on. Once the representative verifies that you are the rightful owner of the mobile number, the representative will deactivate the SIM. Before the representative does so, you can request the representative to let you know the last call made on the phone. If you didn’t make the last call, the detail you receive from the representative could be handy for the police. You will report a theft. You will report a lost or misplaced phone. The procedure for the two is different. Let us take a look at the two processes separately. If you think that someone stole your phone, it is important that you go ahead and file an FIR. The reason is simple. The person who stole your phone can misuse it for criminal activities. If you do not file an FIR, you will be held responsible for such criminal activities that involve your phone and phone number. Do you want such trouble? Visit the police station nearest to the place where the phone was with you before losing it. For instance, if you live in Jadavpur in Kolkata, but you lost the phone when you were at Kalighat, Kolkata, you should visit the Kalighat police station to report the theft and file the FIR. Tell someone in the police station that you want to file an FIR, and ask for the right person. Once you find the person who files FIR, tell him or her that someone stole your mobile, and that you want to file an FIR for mobile theft under CrPC Section 154. Yes, mention the section. If you can, provide the details of the person you think stole your phone. If there were witnesses, try to give the details of those witnesses if possible (most likely you cannot give those details). Once the police file the FIR, take a copy of the same. Do not forget to take a copy. The copy will help you to track the FIR status. On February 5, 2014, all states in India and all Union Territories received an advisory from the Center according to which, registering FIR for mobile theft is mandatory. CrPC Section 154 clearly states the mandate. If the police personnel refuse to register FIR, you can write and send a letter to Superintendent of Police (CrPC Section 154(3)) or the Magistrate (CrPC Section 156(3)). Police refusing to register FIR for mobile theft is an offense. How do you track the progress the police make with your complaint? The officer must take steps that are necessary for tracking the stolen mobile phones and recovering them. The officer must contact all network providers to find out the details of the phone number that is active on the mobile phone (usually known as a handset) after the theft. Once the officer gets the details of the active phone number, the officer must visit the address of the subscriber that he receives from the network provider. Technical details (IMEI Number) of the handset stolen are available with the police officer, and the network provider. The officer must (along with the network or service provider) take all necessary steps (irrespective of the difficulty of the steps) to scan the IMEI Number and trace the stolen handset. The police officer must provide the technical details of the stolen handset to ZIPNET (Zonal Integrated Police Network). Police have to register the technical details on ZIPNET to prevent the sale of the stolen handset (in general, the police have to register IMEI of all stolen handsets to prevent the sale of preowned mobiles). You can track all the above steps if you have the copy of the FIR. You need to provide the FIR number when you ask for the details. Without the FIR number, you cannot get any details. It is because of this; you must take a copy of the FIR when the police register the FIR. If you think that you misplaced your phone or lost it (that is, you believe that no one stole your phone, but you lost it because of your carelessness), you don’t register FIR (First Information Report) for theft. What you do is you report the loss and file a DDR (Daily Diary Report). FIR is made for crimes that are serious while DDR is for non-cognizable offenses. When you file a DDR, it acts as a proof that your intentions are good even if some misuses the phone you lost. So, if you think that you lost or misplaced your phone or handset, you register a DDR and not an FIR. For registering a DDR, you have to write a letter to OIC (Officer in Charge) of the nearest police station where you lost or misplaced your mobile phone. I was traveling from ________ to ________ on date (provide the date of incidence) by car/taxi/bus/rickshaw/foot (or walk). I lost my phone with mobile number (mention the active 10-digit mobile number) along with (mention anything else that you lost) somewhere between the origin of journey and destination (in case you think you lost your phone at a specific place, mention that place). I do not want my phone (both the handset and the mobile number) to fall in wrong hands. To avoid any misuse, I am requesting you to help me by kindly registering a DDR and take necessary steps to find the phone. I hope that you will take the necessary steps at the earliest. Whether you are filing an FIR or a DDR, the methods that you read above are both offline methods. Simply put, you need to go to a police station to get your job done. Fortunately, some police departments in some states now have the facility of filing complaints online. Yes, you can report a mobile theft or loss directly from the website of the police department of your state (provided the option is available). You need to provide the same information as you will generally provide in an offline method. You will need to provide more information. Online complaints are efficient and quick. Going digital also helps to build trust between the police and the general public. It is a known fact that people look at police as corrupt. People have a notion that police will harass the aggrieved instead of going after the criminals. Online portal rules out any possibility of direct first contact. Once the online complaint is received, someone from the police department will contact when necessary. If you live in Delhi, you can file a complaint directly from the official website of Delhi Police. Please note that every police department will have a different website design. The navigation can be slightly tricky but not impossible. Have patience. Some portals will ask you to register before you can file a complaint online. The details you need to provide while registering can be slightly intimidating. Remember that you are dealing with police and they will ask for such details. Since you are not at fault, there is no reason why you should be scared of providing the details. Go head and furnish the details. Your job will eventually become easy. Once the police recover your phone, they will hand it over to court. Remember that the police station that recovers your phone will submit the property to the Magistrate Court under whose jurisdiction the police station falls. You need to write an application for ‘Return of Property.’ The application falls under CrPC Section 451. You need to apply to the court along with necessary documents that include the purchase bill, your identification document, etc. The court will verify every information during a court proceeding, and once the Magistrate is satisfied, the Magistrate will pass an order for returning your phone. The court directs the order towards the police station. You will take the Magistrate order and furnish it in front of the police officers of the concerned police department. The officers will go through the order and then return the phone to you after taking it back from the court’s custody. Yes, the process is long and tiring. However, that is how it works. You need to go through the entire process flow as the law of the land dictates it. Police and law enforcement will not take any risk because they will never want to hand over a lost phone to any XYZ person other than the rightful owner. Every single mobile device on this planet will carry an IMEI Number. The number consists of 15 digits, and every device has a unique number. No two IMEI Numbers can ever match. In essence, IMEI Number is a unique identification number for every mobile device – mobile phone or tablet or phablet. We will draw an analogy for your better understanding. You as a citizen of India have a unique identification number called Aadhar Number. The number carries all the information about you including your name, age, gender, address, biometric identifications (retina scan and fingerprint scan), etc. You can consider the IMEI Number as the Aadhar Number for your mobile device. The IMEI Number will contain all the information about your phone. Though the only thing you can see is the IMEI Number of your phone, the manufacturer maintains every detail of the phone against its IMEI Number. Just the way, you can change your address, or your age keeps increasing, but your Aadhar Number never changes, the IMEI Number works pretty much the same way. You can change the apps on your phone, you can change the SIM, or you can change the SD card but, the IMEI Number will never change. Because the IMEI Number always remains the same, it is one of the easiest technical details that law enforcement personnel use for tracking a lost or stolen phone. How to get IMEI Number for mobile devices? For locating the IMEI Number for your mobile device, there are some options available. Let us find out more about each method. It is one of the easiest ways of finding your device’s IMEI Number. The box that contains the phone will contain the IMEI Number printed or pasted (as a sticker) on the box. Some manufacturers assign two IMEI number for a single device. For instance, ‘Mi’ – one of the most famous phone brands in India offer two IMEI Numbers for a single mobile device. Manufacturers print both numbers on the back of the box which holds the phone inside. Unlock your phone and pull out the dialer app. That’s all! You don’t even have to hit the call button. The moment you type *#06#, you will see a pop-up on your screen. The IMEI Number will show in the pop-up. If there are two IMEI Numbers, both will show on the pop-up. This *#06# method works for both Android and iOS devices. In case you do not prefer any of the above two methods, you can take a slightly longer route. You can get IMEI Number(s) for your mobile device through the settings section. Go to the Settings app and tap to open. Scroll down to ‘About Phone’ section. It is always the last option on the screen. Tap on it. On the new screen, search the ‘Status’ option. It is usually the third option from the top. Tap on it. A new screen will open. Search for the option which reads ‘IMEI information.’ Usually, it is the fourth option from the top. Tap on it. On the next screen, you will see the list of all IMEI Numbers for your phone or device. It is pretty much the same as in Android devices. Go to phone settings app and look for the option which reads ‘General.’ Tap on ‘General’ to land on a new screen where you need to find another option called ‘About.’ Tap on the ‘About’ option, and you will see ‘IMEI’ listed. Tap on it to get the IMEI Number. Check the back side of your phone. Some manufacturers print the IMEI Number on the back. Some can paste a sticker on the back mentioning the IMEI Number. In case your phone has a removable battery, remove it and see underneath. The manufacturers may also print the IMEI in the area where the battery sits. Some manufacturers inscribe the IMEI numbers on the SIM tray(s). Why is IMEI so important? IMEI is a unique identification number that manufacturers assign to the mobile devices. You already know this. But, did you know that the IMEI Number is different from your SIM Number? When you are purchasing a SIM, and putting it in your phone, the network provider will capture both the SIM Number and the IMEI Number. Without the IMEI Number, your cellular service will not become active. The network provider needs the IMEI Number to identify the device. Cellular networks customize some services for specific devices. Without the device information, those services will fail to start. Can the manufacturer change the IMEI Number of a device? IMEI Number is the identification number for your device. The manufacturers have no reason for changing IMEI Numbers. In fact, in some jurisdictions, changing IMEI Numbers is completely illegal. No wonder, the law enforcement bodies keep a record of IMEI Numbers of the devices that are lost, stolen or recovered. When someone goes to claim a lost or stolen device recovered by the police, providing the IMEI number is necessary. Not to forget that IMEI Numbers for all lost and stolen devices are blacklisted so that no one can sell or purchase those devices. Unfortunately, some thieves try to bypass this by trying to replace blacklisted IMEI Numbers of stolen devices with non-blacklisted IMEI Numbers so that they can sell the stolen devices. So, it is necessary that you never share the IMEI Numbers of your phone with anyone. You should keep IMEI Numbers safe. If you choose to try to trace your phone’s location, what do you need to do? If you are contemplating the option of tracing your phone’s location to find the whereabouts of your phone, you are only making a fool out of yourself. Why are we saying this? For a simple reason! If someone steals your phone or if someone finds your lost phone and decides not to return it, tracing your phone’s location is of no help. Asking the law enforcement to help is always a better bet. Still, if you think that you have only misplaced your phone and that your chances of retrieving the phone are high, you can always use this method. You are using a smartphone. Your device runs on or operates on the Android operating system from Google. Your device has Google location service turned on. Your device has an active internet connection – 2G, 3G or 4G. Android Device Manager (ADM) is a Google service that is available by default in every modern smartphone running the Android operating system. This feature is turned on by default. However, if you turned off this service, before losing the phone, the feature cannot be used. Remotely erase all data on the device. If you did not provide these permissions before losing the phone, the feature would not work properly. As we said, ADM is a default feature, and you don’t need to install any application separately. The new page that opens will show a notification which will tell you to contact law enforcement if you think that someone stole your device. It will also tell that the location of the device that Google will show may not be accurate. Click on the ‘Accept’ button. You will see a map with the location of the device showing with location pin. You can zoom in on the map to see the precise location. If the location is somewhere nearby, you can select to play a sound on the device for 5 minutes. You can find the option is on the left side of the screen. Click on it, and the device will start ringing even if the device is in silent mode. If you cannot find the device even after it rings, the next thing you can do is secure the device. This option is also on the right side of the screen. Clicking on the option will lock your device and log you out of the Google Account. The feature of securing the phone is interesting. It will allow you to display a message on the screen of your lost device. You can select to enter a phone number on which anyone who finds the phone can reach you. You can also select to type in a message for anyone who finds the device. You can enter both phone number and message! Once you provide the information, click on ‘Secure Device’ button. The phone will lock, and the message will display on the screen of your lost device. If all the methods above fail to give results, and you want to ensure that none of the data on your phone falls into the wrong hands, there is a third option. The option is – ‘Erase Device.’ Yes, you can completely erase everything on your phone. Photos, contacts, financial details, call logs, browsing history, your installed apps – everything! You, however, need to understand that once you choose to wipe out the device data, you can no longer locate the device using ‘Google Find My Device’ option. Login to your Google Account using a smartphone: The ‘Find My Device’ service of Google is also available in the form of a mobile app that you can install on a smartphone. In case you have access to another smartphone (your or someone else’s), install the app from Play Store. Once you install it on someone else’s smartphone, log in as a guest. Provide the Google Account credentials for the account you use on the phone you cannot locate. Once you provide the information, the app will allow you to perform all the tasks (mentioned above) that you can perform using a computer. Lost Android is an application that works pretty much the same way as Google’s ‘Find My Device’ works. However, this is a third-party app with in-app purchases. The app will not ask you to purchase anything suspicious. The only thing you can purchase is a set of premium features that will allow extended functionalities. Now, Google doesn’t like the app much, and before the last update of the app, Google started flagging the app as harmful. Despite Google’s attempts to prevent people from using the app, the app has clocked 5 million downloads worldwide. Your phone has an active connection to your Google Account. Your phone is connected to the internet using 2G or 3G or 4G. Yes, yes! You read it right! You can conduct a remote installation. Open a web browser (some popular ones are Google Chrome, Firefox, Opera, etc.) on your computer and type in ‘Google Play Store.’ The browser version will open. In the search box, type Lost Android. The first app that shows up is the one that you want to install. Click on it. On the next page, click on the ‘install’ button. It is a green button. That’s all! The app will install remotely on your device. Almost every app that you install requires registration. Even Lost Android will need it. Since you have installed the app remotely, the app will not register automatically (just to let you know, when you install the app directly on your phone, the app automatically registers using your active Google account, and if there are multiple accounts, the app will register all the accounts). The way out is to send a text message to your phone that you want to find. You can use any other phone to do so. For instance, you can use your brother’s or sister’s phone. Use a different phone and type in ‘androidlost register’ (without quotes) in the messaging app. Send the message to your phone number. Once your phone receives the message, Lost Android will automatically register. What if you lost a tablet? A tablet will not have the messaging option! In such a case, before you install Lost Android remotely, install ‘Jumpstart for AndroidLost.’ As before, go for remote installation. Once you install ‘Jumpstart for AndroidLost,’ remotely install ‘Lost Android.’ Once you install Lost Android remotely, the previous app, that is, ‘Jumpstart for AndroidLost’ will automatically force Lost Android to register your Google Account. Make your phone flash and play a loud sound even if your phone is silent. See the location of your phone. You can lock your device or unlock it remotely. Erase the phone data including data on your SD card (if you have one in your device). Make the device’s front camera capture image of the person holding the device. Lost Android is a third-party app. You may or may not trust it. The choice is always yours. However, the app works great and can be a handy way to locate your phone provide it is turned on, and the device has an active internet connection. Yes, it tells about the history of all the locations where your phone has been to with you, or with someone else. The feature uses cell phone tower IDs and even WIFI location detection feature. The problem is that the accuracy of the data can vary to a great extent. Unlike Google Maps Location History, Google’s ‘Find My Device’ uses GPS for tracking a phone. GPS tracking gives more accurate data compared to cell tower IDs. Your phone or device actively uses your Google Account. There is an internet connection on your phone. Location history, as well as location reporting, are both active for Google Maps. Open Google Maps from your computer. Ensure that you sign into your Google Account. Once the map opens, click on the hamburger menu (three parallel horizontal lines) on the left top corner of the screen. A new page will open. On the new page, select the current date. It will show the places where your phone has been to with you, or with someone else. The problem with Google Maps Location History is that it will not give you the exact location. It will only tell you about a place or two or more. For best results, use Google Maps Location History in conjunction with Google’s Find My Device. If your phone rings in the nearby location and you can hear it, you will very likely find your phone. Okay, so far, we have discussed finding your lost or stolen phone. We did not talk about tracking someone else’s number. When it comes to tracking your number or your lost phone, there is an array of things you can do. But, when it comes to tracking someone else’s number, things are not so simple. Let us look at the options available. Some online services will allow you to find some details about a phone number. You can do that here on this website as well. You have to type in a specific number (usually a 10-digit mobile number) without 0 or +91. Once you key in the number, click on the ‘Search’ button. A map with a location marker (optional) showing the city where the number currently sits. Some websites may also show the name of the owner, but usually, they cannot show that because the name, address, etc. fall under the privacy clause of the operator. The service provider can never disclose such information. If they do, they can come under legal heat that they will always want to avoid. This information is usually not helpful. You can get a broad idea but getting complete and accurate information is impossible. Nice question. The answer to this question is simple. If all your information is displayed, someone with ill intentions can use the information and harm you either financially or some other means. Your Aadhar number (Aadhar linking is now mandatory). Any alternate number you have. Such information is precious in the hands of criminals. They can use it for myriads of antisocial activities that can put you in harm’s way (legally and even physically). It is because of this immense risk; mobile network operators always keep this data suppressed. They reveal this data to law enforcement personnel only when ordered by the court. So, if you have to get all the details accurately, you have to get a court order to access such data. You need to provide the order to the mobile phone operator through legal channels. Only then you can access such data. So, when are these websites helpful? These online mobile number tracking websites come in handy in situations like natural disasters. You can use the services to get an idea of where a person might be and then go out with a search and rescue operation. These online services can narrow down the area of your search, which in turn can yield faster results. Spy software is another way of tracking or tracing a mobile number. But this is illegal unless you have express permission from the person whose number you want to track. There is a specific methodology that you need to follow to use spy software. You must have physical access to the phone that you want to track and trace. You must install the spy software on the phone. The handset has to be compatible with the software. To install the software, you will have to download the software and manually install in on the target phone. It can take a few minutes to install and set up the software. So, you cannot afford to allow the owner of the phone to access it while you are setting up the software. You have to create an online account with the company providing the software. Spy software is designed to work in stealth mode. Simply put, they become invisible once you install them on the phone. Once installation and set up is complete, the software starts tracking immediately. Record SMS or messenger services. Record all contacts on the phone. Spy on social media activities. Keep a record of all websites that the phone user visits. Log the exact location of the phone using GPS service. Make copies of all images and videos. Set up virtual fencing, and once the phone exists that virtual fence, you will get an alert. Parents who want the safety of their children and do not want their children to get into unwanted situations. Employers who want to prevent employees from selling trade secrets to competitors. Armed forces and security agencies. Can anyone use spy software? If you are installing the software on someone’s phone without telling the person, there will be legal consequences. By installing a spy software, you are transgressing into one’s privacy if you are not informing that person. If you are not of legal age to perform such activity, you will get into legal trouble. If you do not have proper permission from the law enforcement to do so, you will commit a felony. If you fail to inform the person on whose phone you are setting up a spy software and the person comes to know, you can face server criminal and monetary penalties. You can, however, use the software if the intended target allows you to install such software or if you have the authorization of law enforcement. Use such software at your own risk. XNSPY 9.8/10 – iOS and Android compatible. – Remote installation offered by tech team only on Android device of your choice. Remote installation not available for iOS devices. – No support for desktop. – The software supports only smartphones and tablets. – One license allows tracking only one device. TrackMyFone 9/10 – Jail-breaking iOS device is not needed. – The software helps to track kids. – Monitors employees. – Some features will work only on Android devices with root access. – Devices running no jailbreak iOS version do not get all of the best features. Spyzie 8/10 – Perfect for monitoring employees and kids. – The software doesn’t require you to jailbreak or root the device. – The user interface is very easy. – All features do not work on all devices. For example, iPhone users cannot use the location tracking feature. – If the target device owner deletes some data, the data cannot be retrieved. MobiStealth 7.8/10 – The software offers a wide spectrum of features. – The software has desktop monitoring support. – Advanced features like WhatsApp, Facebook, SnapChat monitoring, and Keylogger feature is now available even for Android devices. – Contact and website blocking features not available. – A lot of customer complaints are present. iSpyoo 7.5/10 – Free trial for 48 hours. – The software offers video call monitoring as well. – Some premium and gold features are available only for devices with root access. – The support system is terrible. StealthGenie 7.3/10 – Perfect for parents who want advanced monitoring options. – Pricing is very low compared to the range of services offered. – Fails to comply with legal standards set for spying. – The app is a network data hog. – The app is a heavy user of power, and it drains the device battery quickly. – You have to jailbreak your iPhone to use the software. PhoneSheriff 7/10 – PhoneSheriff is a great solution for monitoring kids. – Has the ability to take camera snapshots. – The software can record the surroundings of the device on which you install it. – Quite affordable. – The software does not support latest Android and iOS versions. – Web blocking features are too complex and technical. – Installation is lengthy and complex. – Complete social media monitoring is absent. – Live chat support system not available. MobileSpyAgent 6.9/10 – Very easy to use. – All basic spying features are available. – Features are quite limited. – Works only with devices that are jailbroken (iOS) or have root access (Android). SpyBubble 6.7/10 – Basic spying features that work perfectly. – The software has a one-time billing. – Basic features are too limited, and software does not offer security features. – iPhone jailbreak is a must. Highster Mobile 6/10 – Stealth camera allows capturing photographs remotely. – Lifetime upgrades without extra cost. – Good only for basic monitoring. – Parental controls are absent and hence, not good for spying on kids. – Not compatible with all smartphones. There is no scarcity of con artists in this world who come up with elaborate schemes to fool people. They are, so hell-bent on fooling people that they don’t mind creating a sub-par product from scratch so that they sound trustworthy. When people believe them, they will dupe the unassuming customers. Essentially, they go for a financial scam. Trust us; when it comes to Mobile Number Tracking, the market has no scarcity of such con artists. If you do not keep your eyes and ears open, the chances of you getting fooled are always high. Why are we saying all these? What do we want to say? Here is what we want to tell you – ‘beware of a hoax.’ Now and then you will come across spy software that will claim to do wonders. Those companies sell you nothing but a bluff. There are a few ways of identifying them. Let us find out. You already know this, but we will still like to say it again. Google Play is the app store for Android devices. App Store is the app store for iOS devices. These stores have no scarcity of such tracking apps. Do a simple search with search terms like ‘spy software for android’ or ‘mobile tracking software’ or any other search term that you like. You will be surprised to see the number of results returned. Do you think all of them are great? No, they are not! Most of them are there because the developers want to steal your information or install spyware or malware on your device. Such software requires elevated permission to work. When you give the permission, the software will start doing dirty tricks. Even worse, some of these apps come with in-app ads. Spy software is not supposed to have adverts in them. They are supposed to work in stealth mode. And then there is another class of apps that will fool you with their names and make you believe that you are installing an actual spy software. The truth is, they are not. They don’t spy. For instance, there is an app called ‘Call Recorder Spy’ on the Google Play Store. What do you expect? You will expect that the app will record the calls of the person you want to spy on and keep a record of all calls is a safe location. It doesn’t work in stealth mode. It doesn’t record the calls and uploads them on an online account. Every recorded call stays in the phone’s memory (internal or SD card). On top of that, it contains ads! Take it! Barring one or two apps on either Google Play Store or Apple App Store, there is no app out there that will help you track a mobile number properly. Also, NOT EVEN A SINGLE APP IS A SPY SOFTWARE. All of them work openly. All of the so-called spy software on the market is best for tracking your mobile. They will not spy on someone else’s activities. We know of only one Spy application that can remotely install on a target device without the person even knowing. That application is XNSPY. Even XNSPY has limitations. It can remotely install only on Android devices. Such remote installations require technical assistance from the company’s tech team. You cannot do it on your own. And, XNSPY is not cheap. You need to pay the company a lot of money to use this application. Any other software claiming remote installation ability is in all likelihood, an elaborate hoax. Come on! Installing Spy software on any target device comes with the basic requirement that you need to have physical access to the device. Remote installation is not an option when you want to spy on someone’s phone activities. Those that claim remote installation on any device are blatantly lying. Remote installation is hi-tech stuff, and you will not get it for a few bucks. Only a few spy software out there come with a one-time price tag. Unfortunately, those applications are all limited in the number of features they offer. All they do is basic spying. Even worse, there is the whole spectrum of fake spy software out there that will claim to give you advanced features, and extraordinary spying capabilities against one-time price. They are lying! Once you buy from them, they will vanish. The sellers will not respond to your calls or support tickets. Even if they respond, they will not provide any true support. When you demand a refund, they will behave as if you don’t even exist or even if you do exist, you are in a completely different dimension, and they cannot hear your yelling! All good Spy software is proprietary and comes with advanced technologies. One-time price is not an option for them. Keeping such software updated involves a lot of costs. They need to pay the technology providers, their technicians (coders), support team, etc. They have recurring costs, and they will bill you on a monthly basis to cover such costs. Yes, you need to keep paying to keep using their software. Remember that every genuine Spy software like XNSPY or mSpy will allow only ethical monitoring. For instance, if you want to keep an eye on your children for their safety, or perhaps you want to keep an eye on your employees to prevent corporate espionage – your intentions are ethical. However, if you want to breach the privacy of someone, for example, your spouse, it is unethical. If you think that your spouse is engaged in an extramarital affair, and you want to catch him/her red-handed, using a Spy software on your spouse’s phone, your act is not ethical. You can resort to other methods but not Spy software. Even though you are engaging in ethical monitoring, the law of your land may require you to get express written permission from the people you want to monitor, even in the case of your children. How to report a fraud/harassment call or a phone theft/lost in the USA? Fraud or harassment calls are quite common across the world. The USA is no different. In case you are a resident of the United States of America, and you are a victim of such fraud or harassment calls, this section will help you understand the steps that you can take to prevent or report such calls. Apart from that, you can also find information on how to report a phone theft or loss in case you are a US resident. Parameters that define a phone call as harassing. The frequency of receiving such calls to tag them as harassing. Who should you contact when you receive harassing calls? Will your phone company be able to help you when you receive harassing calls? Will your phone company, and law enforcement always succeed in helping? What are the things you can do to stop or prevent such harassment calls? Use Pressure Valve technique or strategy. Precautionary steps you can take to prevent harassment calls. Your phone rings but when you receive, there’s dead silence. What to do with fraud calls? Someone is calling you and using obscene language. Someone is calling you and threatening you. Someone is calling you and intimidating you with heavy breathing. Someone is calling you and intimidating you with silence. Someone makes your telephone ring continuously. In case you are a victim of any of the above situations, you are receiving a harassment call. You need to take steps. Remember that harassment calls are terrifying, and they are extremely taxing on your mental well-being. Under no circumstances should you such a situation lightly. You need to know that all states in the USA consider such calls to be illegal. Each state has its penal code for such calls. For instance, if you reside in California, the section 653m of the Penal Code deals with such harassment calls. Harassment calls are always frightening. However, you can never rule out that someone you know (perhaps a friend of yours) wants to play a prank on you. Such a person will usually stop after the first call, or the person may call you a couple of times. You should wait! Wait for two or three calls. If the calls persist, you can consider them as a harassing call. We are not saying that a single call will never be a harassing call. The first such call you receive can be harassing by nature. Unfortunately, neither your phone company and nor the local law enforcement body will take any step in the very first instance. That’s the reason why you need to wait. Understand one thing clearly – different local phone companies have different policies of dealing with harassment calls. The call frequency at which different companies will consider such calls as ‘harassment calls’ will differ significantly. However, if the very first call you are receiving is threatening your family or you with physical harm, your phone company can take immediate action. Who should you contact when you are receiving harassing calls? When you receive a harassing call for the first time, it is wise to wait unless someone calls and threatens you with physical harm. If such calls keep on repeating, the first thing you should do is report it with your local phone company. Call your local phone company’s business number. Explain your problem to the person who picks up your call. Once the representative from the ‘annoyance desk’ picks up your call, talk about the problem in as many details as possible. The representative will take note and let you know the next course of action. Now, the process above applies when your local phone company has a policy of dealing with harassment calls. What if the company has no such policy? In other words, what will happen if the company says that it never deals with harassment calls? Yes, this is a possible scenario. Some companies may decline to help you. Some others will ask you to report the case to the local law enforcement body. Before we tell you what to do when you approach the law enforcement officers, we will like to tell you that police or law enforcement has a lot on the plate to deal with and solve! So, you need to be very precise and detailed about your complaint. What is the typical hour of the day when you receive such calls? How many times did the unidentified person call you? Is the person calling and harassing you a male or a female? What type of accent did the harasser use? Did you hear any background noise when you received the call? Did you feel that the person calling you was under the influence of some substance (like alcohol or drugs)? Can you guess the age of the person calling you? Can you think of someone who can harass you or want to hurt you? Does your phone or caller ID device show the number from which you receive the calls? Police will take your report and start investigating properly. But, if you cannot provide as many details as possible, the investigation can take a long time. Considering that your phone company has a policy of helping people receiving harassing calls, the first thing that the company will do is ask you about the frequency of the calls you receive. Different companies have a complete set of guidelines that will tell you the steps you need to take from your end before the company can help you. If your phone company decides to help you with particularly threatening calls (like life threat or property threat), the company may decide to set up a ‘trap.’ Your phone company will always set the trap on your phone line. The company can trace the number from which you receive the threatening calls using the trap they set. However, for the trap to work properly, you need to keep track of the frequency, timing, and dates of such harassment calls. Usually, a phone company sets a trap for two weeks. It means that the phone company must know when to set a trap. Alternately, you can also use a service like Call Trace. This service allows you to trace the number from which you receive annoying harassment calls with ease. You don’t even have to maintain a log of the harassment calls you receive. Immediately after you receive a call like that, dial *57 on your phone (if you are a California resident). The code can vary depending on your state. Call Trace is a localized service, and hence, the method in which it works may vary from place to place. Be sure to ask your phone company for the service. Call Trace is a paid service. Yes, you have to pay if you want to use it. Your phone company will not share any information they gather using Call Trace or ‘trap’ with you. The information is handed over to the law enforcement body. The police will take the number and conduct the necessary investigation. If the police find that the caller is just playing pranks, police will warn the person and let him or her go. If the police find that the person calling you is a genuine threat, the police may arrest the person and take appropriate action. No! Your phone company and even the law enforcement may fail to help you at times. If the harasser is intelligent and uses a public telephone booth, or uses multiple phone lines, it can become extremely difficult for both the phone company and the law enforcement to track down the person. Change your phone number completely. Ask your phone company to do so, and they will gladly do it. Ask your phone company to provide you with an unpublished or unlisted number. If people cannot find your number, they cannot harass you with such calls. When you receive a call, and you understand that it is a harassment call, hang up the call. There is no reason why you should engage in any conversation with the caller. When you receive a call like that, pretend that you have someone online who is tracing the call as it is happening and utter the words, ‘Operator, this was the call I told you about, please trace it.’ Once you say these words, hang up. Whoever is harassing you (genuine or prank) will be scared of getting caught. These measures that you take can discourage them from calling you back again. Get a new number. Give the number only to The Most trusted family members, and friends. Do not use the number for anything official such as credit bureau, credit card company, insurance company, bank, etc. Ensure that the new number you take is unlisted. You need to explicitly ask your phone company to provide you an unpublished number. Make sure to set passwords to your phone accounts (such as mobile, long distance, and local). Write a letter to your phone company explicitly stating that the company should not disclose information on your phone account to anyone except you. Even when it is you requesting the information, the company should ask you for the password that you have set on your phone accounts. Keep the other number but do not use it. Turn off its ring, and put it on the recording. Allow the harasser to call the number as much as possible. Record everything to gather information and evidence. You can hand over the information to the police for investigation. Harassment calls can come anytime. It is quite common to receive calls from unknown callers who will pretend to be from a particular service provider. Such callers will, in the name of verification, ask you what number they called. Never give any information to any unknown caller. The caller may have foul intentions. For example, the caller may be planning a theft or robbery and wants to know your address. There can be many other heinous crimes in their minds. Be careful about not disclosing any information. If you have children at home, teach them not to disclose information to anyone. Children are innocent and vulnerable. They can easily give up information. What happens, in this case, is that if you have not registered for ‘National Do Not Call Registry,’ telemarketers will try to call you. They will use computers to dial many numbers at quick successions. When a number connects and a person receives a call, the computer will instantly try to connect the call to a telemarketing representative. If all representatives are busy, all you will hear is dead silence. You will receive an abandoned call. The computer will abandon the call, and stop trying to connect you to a telemarketer. From your perspective, when you hear nothing but dead silence, you will get scared. It is natural. The best thing you can do here is to call your local phone company and ask for a ‘trap’ provided you are getting too many of those silent calls. The company will do so and trace the notorious telemarketing company. Once your phone company finds the random telemarketer, they will request the telemarketing company to put your number on the list called – ‘do not call.’ You will stop receiving the calls. If the phone company finds out that the silent calls are from individuals with malicious intentions, your phone company will hand over the number to the police. There isn’t enough difference in the steps you take when you receive fraud calls. You can always report the same to your phone company who will advise you on the steps you need to take. The phone company can even report such fraudsters to the law enforcement. For fraud calls, the best thing to do is to be careful. Do not give any information (financial or otherwise) to anyone who calls and asks for the same. Remember that banks and other financial organizations will not ask for sensitive information. They already have the information they need. Financial organizations keep sending alerts to you about not sharing any financial information such as credit card number, debit card number, bank account number, social security number, etc. to anyone claiming to be from the organization. If you are falling prey to such imposters, it is always your fault simply because you are not cautious enough. If you become a victim (that is, a fraudster manages to get your financial information or social security number, etc., and use the information for criminal activities like money laundering, stealing money from your account, identity theft, etc.) you can then approach the law enforcement and provide the details, and ask for an investigation. The phone company can help by tracing the number the number that the fraudster used to fool you. If you lose your phone or you think someone stole your phone, and you are a citizen of the USA, do not expect something special that will help you find your phone magically. All that you can do in case you lose your phone or someone steals your phone is first to try to locate the phone. 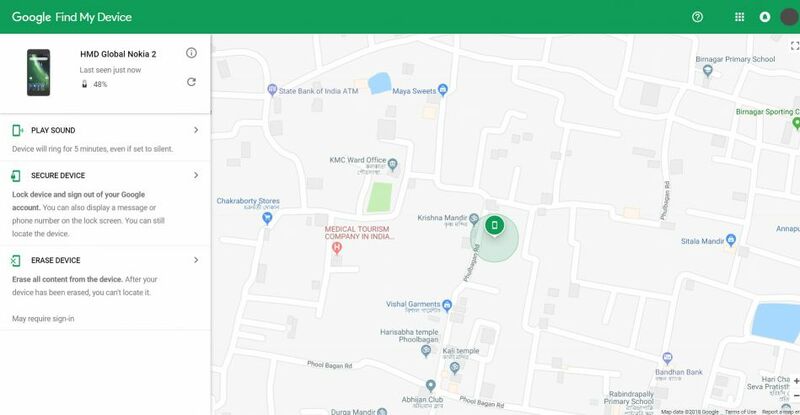 There are services like Google’s ‘Find my Phone’ or Apple’s ‘Find My Phone’ that can help you to locate your phone’s current position or allow you to remotely lock your phone or erase all the data that your phone contains. We have discussed the details of these process earlier in this article. In case you are wondering about help from law enforcement, it can be a bit disappointing. Do not think of entering a police station until you are sure that someone stole your phone. Model and make of the phone. IMEI number of your phone. Name of the suspected person (if any). Try to give the police a rough idea of the current location of the phone (you need to try services like Google’s and Apple’s Find My Phone features). Once you have all the details, provide them to the law enforcement personnel. If they take a report, you must get a copy of the same. The reason is simple. You will need the copy of the police report if you have phone insurance, and you want to cash in on that policy. Reporting to the service provider is something you should always do. Every phone company has this option. Whether you are using Verizon, T-Mobile, Sprint, or AT&T, visit their respective websites. You will find options for reporting stolen phones. Each service provider will suspend all services once they receive a stolen phone complaint. They will do this to prevent misuse of the phone number. Some companies will prevent the thief from using the stolen phone of their networks. That is the best they will do. Of course, if you manage to find your device, you can call back the service provider and request them to reinstate all services. Keep all the packaging material safe. There is a lot of information there. Keep location service of your phone turned on. Install some tracking app like Lost Android or Google’s Find My Device. If you have money, consider buying a Spy software and install it on your phone. Essentially, spy on yourself. If someone steals your phone, you can use the online service of the Spy software to track your phone accurately or even secure your phone remotely. You can also get instant notifications if your phone leaves a particular range (virtual fencing) so that you immediately know that someone stole your phone or someone has accidentally taken your phone. Take it! Mobile Number Tracking is not a thing for average Joes (common people). The very best you can do is to get an approximate location of a number if you happen to receive harassing calls, or prank calls, or fraud calls. If things are spiraling out of hand, place a complaint with the police or cybercrime division. Only the law enforcement personnel can trace third-party phone numbers, and that too if they think that you are genuinely a victim of some criminal activity. Don’t forget that in India, it is illegal for a common citizen to track someone else’s mobile number. If you happen to be a hacker and you manage to track a mobile number that you do not own, you are committing a felony. Sooner or later, the law enforcement will be on your tail.